Werribee Wagtails aka BirdLife Werribee conduct regular bird surveys at Eynesbury as well as at the nearby Pinkerton Forest and Bush's Paddock. The above photo shows the similarity between the colour and pattern of a Brown Treecreeper and an old Eynesbury Forest tree (Aug 2015). Below are photos from a visit on a mild, but windy, Autumn day. Birds were active and calling. 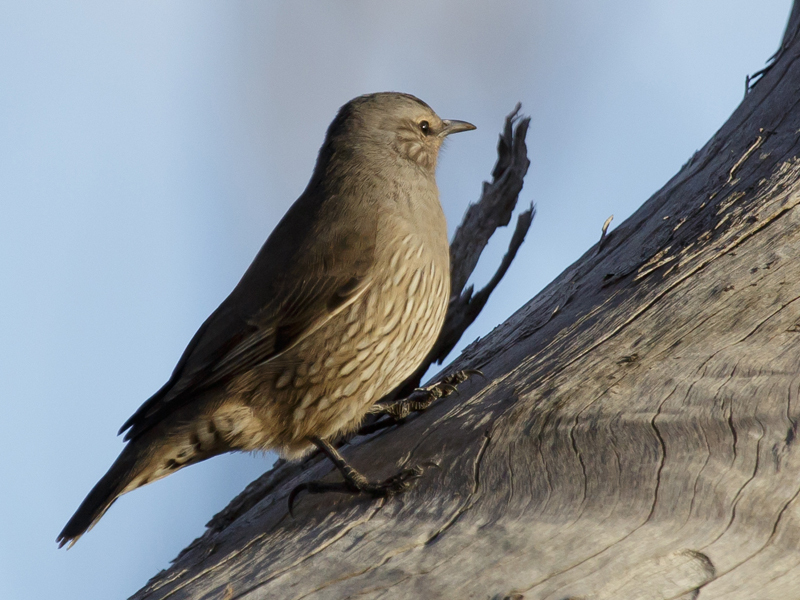 Brown Treecreepers were everywhere on the ground and on trunks of trees. We also saw several Flame Robins, three Diamond Firetails, and numerous other woodland birds. 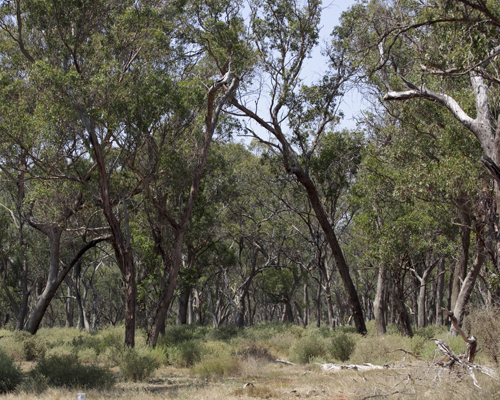 Ruby Saltbush was plentiful and covered in red or yellow fruits. 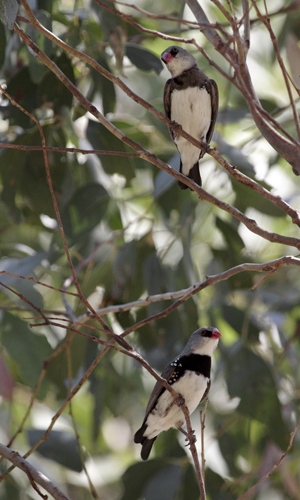 The foraging Diamond Firetails were eating the fruits. 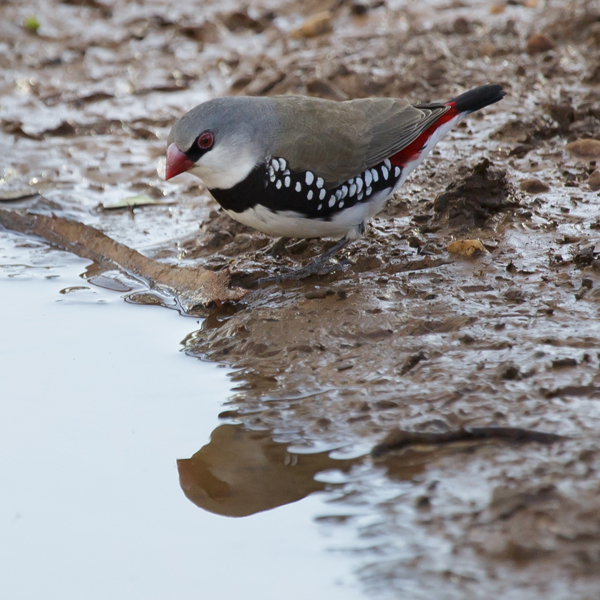 Diamond Firetail at a puddle on a track through the forest. 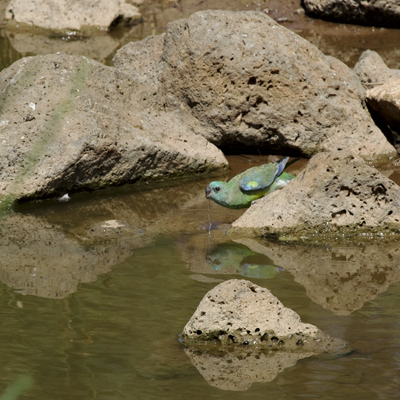 The following photos were taken at Eynesbury in the afternoon of this quite hot, but calm day. 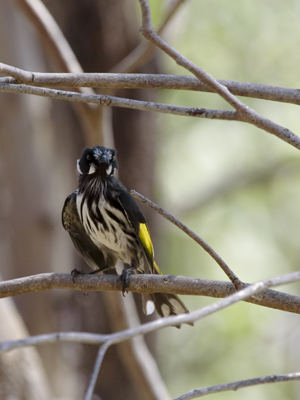 New Holland Honeyeater feeling the heat. 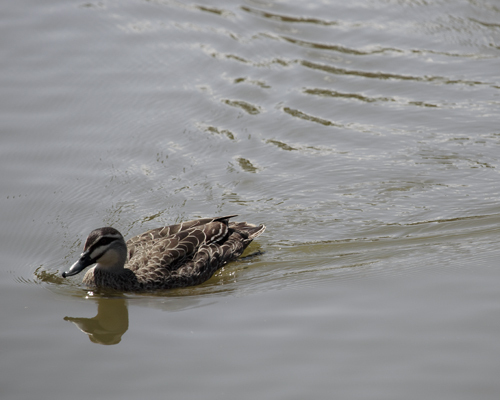 Pacific Black Duck, keeping cool. 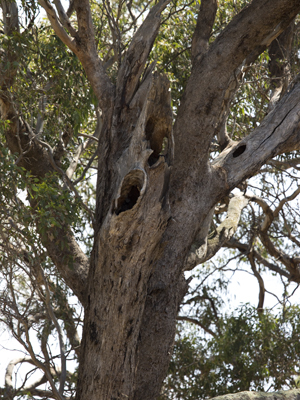 The old trees have many hollows that are probably suitable for wildlife. 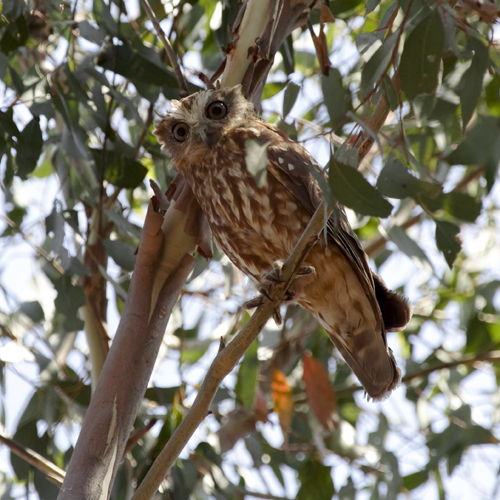 Southern Boobook out during the day. 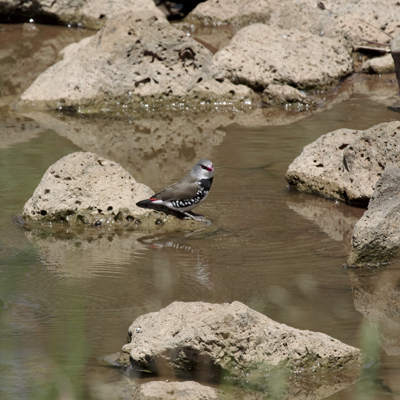 Diamond Firetail pausing during a drink.